SPERRY — A fatal collision occurred at 1:20 p.m. Tuesday, Dec. 25, on N 20th West Ave, approximately .5 mile west of Sperry, in Osage County, Oklahoma. 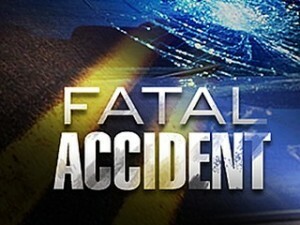 Terry Lynn Bumgarner, 55, of Turley, Oklahoma, died at 1:25 a.m. Wednesday of injuries suffered in the collision. She was the driver of a 2004 Mercury Sable that collided with a 2000 GMC Sierra pickup driven by John G. Martin, 69, of Bartlesville. Martin was transported by Country Corner EMS to St. John’s Hospital in Tulsa, where he was treated and released. A passenger in Bumgerner’s vehicle, Samuel E. Bumgarner Jr., 66, was pronounced dead at the scene of the accident from massive injuries. Two other passengers were treated for injuries. Tiffany Anne Ladd, 28, of Turley, and Charles L. Hendrix, 38, of Turley, were both transported by Skiatook EMS to St. John’s Hospital in Tulsa, where both were treated and released. Terry Bumgarner was transported by LifeFlight to St Francis Hospital in Tulsa, Oklahoma, where she was admitted in critical condition with head, trunk internal/external, and arm/leg injuries. She died at the hospital. The Oklahoma Highway Patrol said Bumgarner was stopped at a stop sign and Martin’s vehicle was east bound. Bumgarner failed to yield to Martin, and his vehicle struck Bumgarner’s. Terry Bumgarner was pinned for approximately 15 minutes until freed by Sperry Fire Department. The Highway Patrol said Terry Bumgarner was under the influence of illegal drug use at the time of the accident.